1. 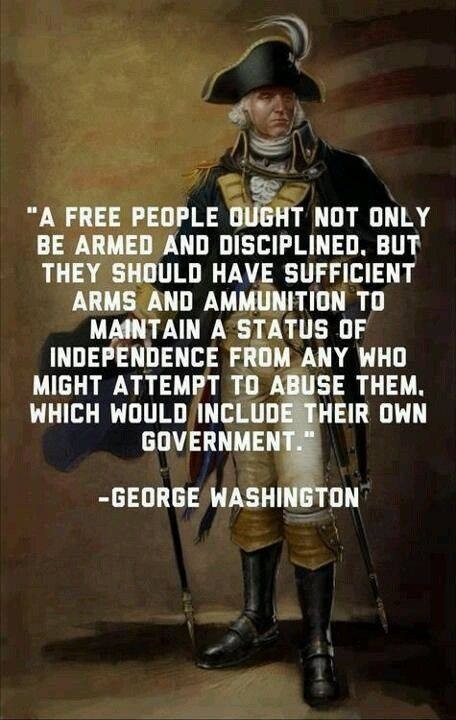 Have you ever heard of this quote (or something similar) from the first president of the United States, George Washington? 2. Whether or not you've heard this quote before, do you agree with it? 3. Do you think this founding father was ultimately looking out for people's best interests when he said this? 4. Did you know that this mindset was common among our country's founders? 5. Could you imagine our current administration ever making such a statement?